Good. Small tear to rear edge. Content is clean and bright. Good DJ with a few edge tears. Very Good. Light wear to boards. Content is clean and bright. Good DJ. Good. Boards are clean with little wear. Content is clean with foxing throughout. Good DJ with some edge wear, foxing, toning and creasing. Very Good. 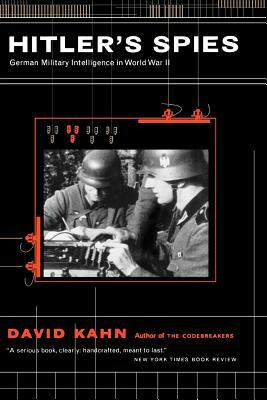 Hitler's Spies: German Military Intelligence in World War II by Kahn, David, 1978-09-01. 686 p. Ill.
Good. Hitler's Spies: German Military Intelligence in World War II by Kahn, David, 1978-09-01. 686 p. Ill.